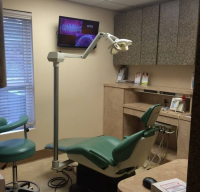 Our office provides comprehensive dental care for our patients. We offer a full range of services from routine hygiene visits to restorative, cosmetic and implant dentistry. Whatever the reason for your visit, our team of dedicated professionals will ensure that you receive the highest level of care. Dr. Paul Bylis and Dr. Elaine Bylis use digital photography and various imaging techniques to provide an extensive analysis of methods to improve a patient's smile. Using their experience and advanced skills, they will identify the most conservative and least invasive procedures that yield the most stunning results. Their makeovers not only improve smiles, they improve lives. To provide the optimum care, our office is equipped with the latest technology. 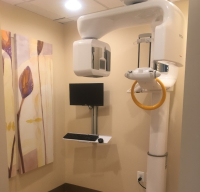 We have Digital Xray, Cone Beam CT, and intraoral cameras. Feel free to browse the gallery to get a glimpse of our beautiful office. "Dr. Paul Bylis has taken care of our family for over 25 years -- and without a doubt, he is the most compassionate and talented dentist in the area. His thoughtful, caring approach put patients instantly at ease. And whether you need yearly oral care, or creative artistry for cosmetic purposes, Innovative Dental Design is the place you need to be. The recent addition of Dr. Elaine Bylis, makes the Doctors Bylis the dental dream team! They make beautiful smiles and I highly recommend them to anyone needing any type of dental care." “Dr. Bylis is truly one of a kind. Not only does he treat every patient as family, but he is a perfectionist at his artistry. I was in search for the right dentist for 2 years after having a root canal that left my front tooth dark and unable to shift with the rest of my teeth. After 12 years of braces all I wanted was a perfect smile, and now I am happy to say I have one because of him. My experience at Innovative Dental Design was well worth the hour drive from Carroll County to Glen Burnie. I would recommend Dr. Bylis to anyone who needs dental work. He is seriously the best at everything he does and is only satisfied when you are happy with the outcome!" "I am a dentist and only trust Dr. Bylis to do my dental work for the past 4 years. 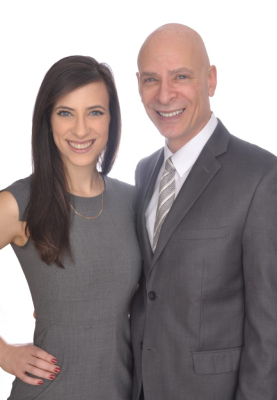 Dr. Paul and Elaine Bylis are extremely knowledgeable when it comes to new technology and dental materials, and have the most talented sets of hands. I feel confident in their treatment recommendations and options, and trust that they have my best interest at heart. I cannot thank them enough for their dedication and care over the past several years!!!" "Dr Elaine Bylis recently gave me a beautiful new smile with veneers and I couldn't be happier with how they turned out. She was hands-on throughout the whole process, upfront about the cost, the procedure, and always took her time with me during every appointment. During the procedure she was thorough and meticulous and always made sure I was comfortable, even though I didn't need any numbing. Not to mention she is probably THE sweetest human ever." "I relocated to Maryland from New York six years ago and the popular family joke is that the very best thing about this state is Dr. Paul Bylis! 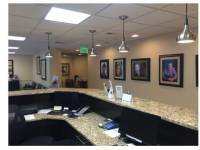 I have been thrilled to find a dentist and a practice that is organized around patient needs and concerns, that has individuals on staff with exemplary training and a dentist who is on the cutting edge of all breakthroughs in modem dentistry. In addition to routine dental health visits, my husband and I have had crowns, implants and veneers through the knowledgeable hands of Dr. Bylis and his wonderful staff. I have had dental challenges my entire life and feel so grateful to now be in capable and caring hands at this practice. Make an appointment!" 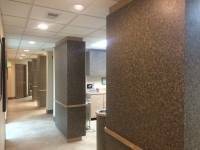 "Dr. Bylis and his staff are exemplary! Dr. Bylis is not only an incredibly skilled dentist, but is a perfectionist and very caring. His staff follow his lead and, together, you have a practice that sets a standard for care that is almost impossible to imagine. From the moment you walk in, you know you are in good hands and that assurance never leaves you. We travel quite a distance to see him and never doubt that he is the best around! We can't recommend him highly enough."